When the only thing that matters is flat-out performance, the all-new Orange Stage 6 nails it. Redefining the typical terrain of the 29er, this is a bike made for riding hard and racing the best in the world, anywhere in the world. 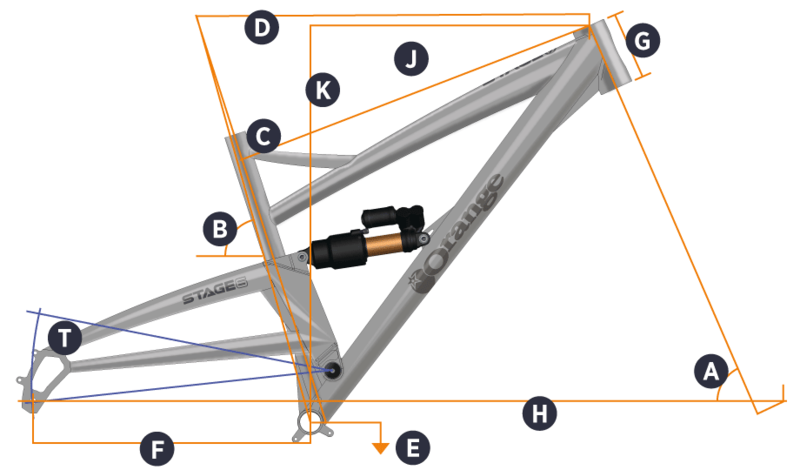 Long, slack, and with a trail-busting 160/150 travel, the Orange Stage 6 goes wherever you want but aims straight for the podium. Lateral stiffness and low standover help its ability to hit extreme terrain fast. Meanwhile, refined single-pivot suspension delivers great pedaling efficiency, not to mention super-smooth and trouble-free riding for more of the season. Internal routing, a 5-year frame warranty and 10 stunning colour options all help seal the deal. It’s simple: just when you’d got your head around the natural habitat of 29ers, the Orange Stage 6 explodes it. One word of warning – this is a lot of bike that rewards skill and confidence, and that’s why guides and racers love it. If you’re ready for the ride of your life, step up now. Sunset Cycles offers the 2018 Orange Stage 6 RS 29er full suspension enduro mountain bike with up to 36 months 0% finance and free delivery. Fork RockShox Lyrik RCT3 160mm 29"